Woodbridge is a patio home community located on Hwy 73 in Concord, NC between I-85 and Hwy 29. The location provides easy access to outstanding medical facilities, superb shopping, Charlotte-Douglas International Airport and all points North, South, East or West of Charlotte! Home prices start in the $320's. 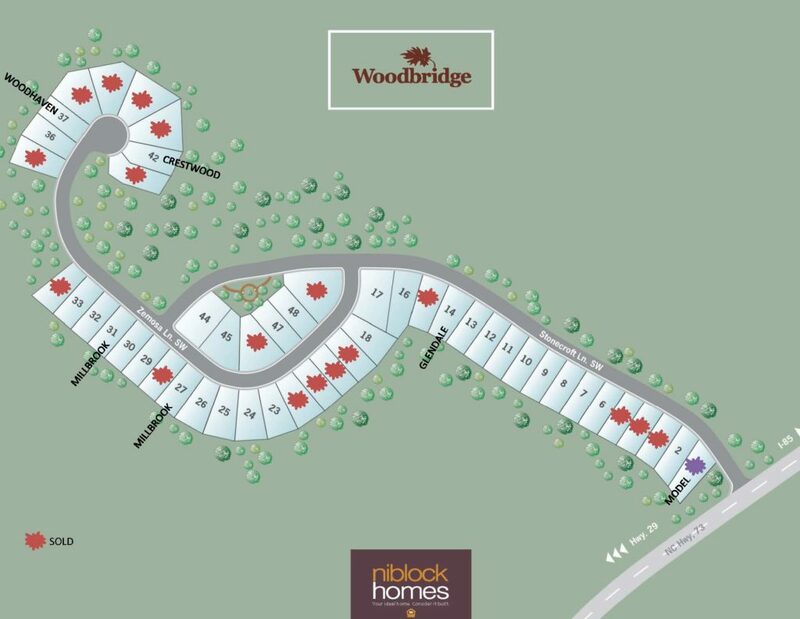 Niblock Homes is excited to announce our newest patio home community, Woodbridge. Woodbridge is located on Hwy 73 in Concord, NC between I-85 and Hwy 29. The location provides easy access to outstanding medical facilities, superb shopping, Charlotte-Douglas International Airport and all points North, South, East or West of Charlotte! This 49 home-site community is a certified NC Wildlife Friendly Development. The certification encourages sustainable development practices and also helps protect habitats that are already in place. For more information please visit www.ncwildcertify.org. Niblock Homes is a family of dedicated professionals that put building trust first. Back in 1979, when Charlotte was just beginning to transform itself into the world class city it is today, three brothers with a passion for excellence organized a small home building company poised to meet the demands of our growing region. They did so using one important principle to guide their way: do business with a sense of stewardship and respect. We strive to create an atmosphere of trust so that we will always be proud to put our name on every home we build. Fast forward 40 years, 3,500 homes later, and we are still proud to say we build trust, just as we always have. We view each home as an opportunity to improve the neighborhoods and communities in which we live. Niblock Homes started out as a custom home builder. That means that from day one, we have catered to our customers’ wants and needs. We have continuously refined our home plans and processes while balancing our work with a commitment of giving back to this place we call home. Map is updated once a month, please call for current information.